This pattern was designed by Vanessa Smith and Monika Mohr. 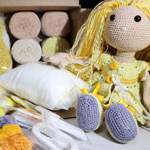 The kit includes all the yarn you need to make her, as well as the her hair precut, stuffing (wadding) and the ribbon. This pattern or any portion thereof may not be reproduced or used in any manner whatsoever without the express written permission of the designer/s. Pattern written by Vanessa Smith and Monika Mohr. Copyright and intellectual property rights reserved. After making a paypal payment, please wait for paypal to redirect you to the download page. 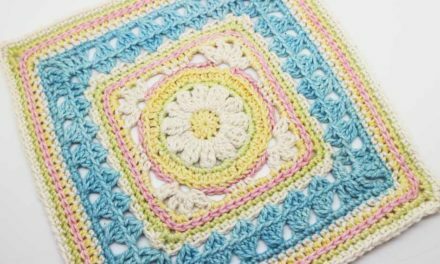 If you purchase the pattern and experience any issues with the download, please get hold of us on the contact page or in the facebook group and we will assist you!